Fenerbahce have made an offer for Chelsea attacking midfielder Cesc Fabregas according to the Fanatik newspaper. Per the source, Fenerbahce sporting director Damien Comolli has been trying to pull strings behind the scenes using his close ties to Darren Dein to try and push through a deal. Dein represents Fabregas and his father David also works closely with Fenerbahce president Ali Koc who he has consulted for years. The Yellow Canaries have reportedly offered the Spanish star a large sign on fee if he were to join in January. The report claims that Comolli has held talks with Dein and Fabregas over the possibility of a Fenerbahce move. Galatasaray are also reported to be interested in the 31-year-old but that Fenerbahce are favorites out of the two clubs to land a deal. 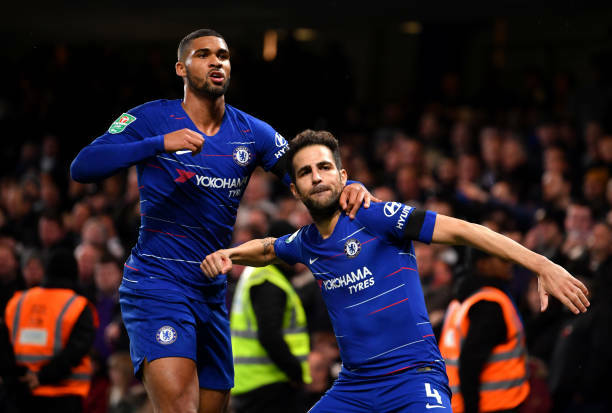 Fabregas has struggled for playing time this season making just nine appearances in all competitions and playing just 205 minutes of Premier League football. The experienced midfielder does not appear to be part of head coach Maurizio Sarri’s plans. The former Arsenal and Barcelona man will be out of contract next summer. Fenerbahce currently find themselves in 13th place in the Super Lig and are planning a squad overhaul over the next two transfer windows.